Isobel Koshiw is a freelance journalist based in Ukraine covering the war, politics and business. Anastasia Vlasova is a Ukrainian photojournalist based in Kyiv. She covers different aspects of Russia’s war in eastern Ukraine. Her story Homeland in Exile is part of the Magnum Foundation’s group project What Works and was exhibited at the Bronx Documentary Center in 2016. On a hot June day, dressed in ball gowns and suits, the eleventh class from Shchastya’s School No. 2 set off towards the centre of town, some 15 minutes drive from Ukraine’s frontlines and the occupied city of Luhansk. Parents, teachers and friends in tow, Shchastya’s teenagers led the procession down the town’s leafy streets, which were lined with hundreds of well-wishers. Those too infirm to descend looked down from their balconies. After over an hour of speeches, the class danced the waltz on the central square to the applause of nearly the entire town. Those coming of age in Shchastya were 12 and 13 years old when the war began between Ukrainian government forces and Russian-backed separatists in 2014. It is a painful subject, rarely discussed and never in much detail. These teenagers disdain talking about politics, which they feel has little regard for normal people and fails to understand them. This year’s leavers ceremony was a rare, joyous gathering. Last year, the thud of artillery fire put people off attending. The frequency of the shelling is random. It can occur once every six months and then several times in one week. The shells mostly land on the outskirts, but artillery aim is poor and anything is possible. These teenagers don’t express pro-separatist sentiments. But their patriotism towards Ukraine will forever be marred by their experiences of living under the Aidar volunteer battalion, which pushed back separatist forces in June 2014. As 10th grader Ilya Shlykov recalls, there was one time when members of Aidar started shooting into the air because the cashier at the town’s main supermarket refused to sell them alcohol. The events of 2014 unfolded at incredible speed. The majority of Donbas residents were confused and bewildered observers, grasping at various narratives, including Russian propaganda, for explanations. As Ilya’s mother Yulia told me over lunch, when it began and the shelling was intense, they had no idea what was happening. They would sleep on their bedding in the corridor, ringing round to see where had been hit. Yet it was towns like Shchastya that were chastised in the Ukrainian media for “welcoming Putin” in 2014. The assumption was that the locals’ failure to prevent the takeover by rebels meant that they were at least supporters of, if not complicit in Russia’s intervention. This reputation was in part bestowed by the incoming Aidar battalion, who detained locals they believed were involved in fighting for the other side. The town’s sportiest teenagers take part in the after-school military-style game “Dzhura”, where they do drills, march with the Ukrainian flag and sing patriotic songs. The game, which borrows the word for 16th century students of Cossack elders, has become increasingly popular in Ukrainian schools since the war began. This can in part be attributed to a presidential decree and several recommendations by Ukraine’s Education Ministry from 2015, which encouraged schools to introduce the extra-curricular game in order to “improve national patriotic education”. The kids in Shchastya say they participate because it’s something to do in a town with limited mobile signal and internet connection, rather than because it reflects any strong patriotic feelings. Though they avoid talking about the war, some of the teenagers we spoke to admitted to taking sedatives to sleep. The teenage stresses of making decisions about their futures is compounded by the ongoing war and the idea of leaving their families. They complained about journalists who asked them what they thought about Ukraine or the other side or who asked to tell them stories about their traumatic experiences. It made them uncomfortable, they said. 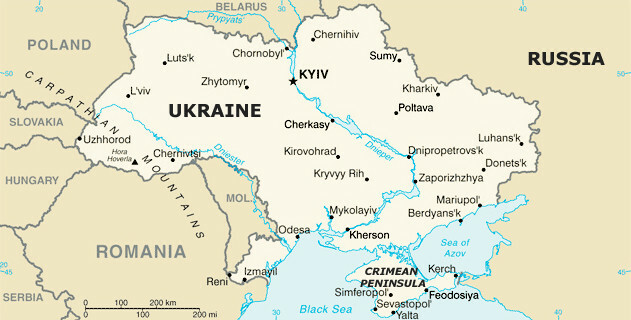 Most teenagers here plan to study in Ukraine, but a few may go to Russia whose capital is equidistance away. Alim Alimov wants to study photography in Kyiv, but his mother is not keen on liberal arts. She wants him to study economics in Moscow, where he, like many others in the Luhansk region, has relatives. “She said that there’s no way in hell I’ll learn Ukrainian. She knows my weak spot,” he said jokingly, referring to language requirements for Ukrainian universities. Ilya’s cousin Katya who lives in Luhansk, is staying in Shchastya for the summer. Katya and her mother moved there after the war began to be with her mother’s partner. Her description of what they learn in school under the so-called Luhansk People’s Republic is surprising. As one would expect from the LNR propaganda videos, she says that they sing the LNR national anthem and spent a year studying the history of the Luhansk region. They spent also another term studying the history of the Fatherland, i.e. Russia. But they have three hours of Ukrainian language lessons a week and were given now redundant textbooks about the history of Ukraine to take home. In some ways, for young people, life in the Luhansk People’s Republic mirrors the experience of those the other side of the contact line. Katya, who says her main wish is to be able to travel freely, says her and her friends tend to hang out on the south side of Luhansk city, away from the frontline. Ilya and his friends stick to the north side of Shchastya. Both cousins have curfews of 10pm, and it takes several hours, written parental permission and crossing dozens of checkpoints to go anywhere. This year has seen the first nationwide debate over the future of the separatist-controlled territories. President Petro Poroshenko and head of the National Security Council Oleksandr Turchynov argue that Ukraine should aim for the reintegration of the territories and that declaring them as occupied, as others have suggested, will push the them further into “Russia’s hands”. Given how the experiences of those living in the war zone, even on the Ukrainian-controlled side, differs from the popular understanding of the war in the rest of Ukraine, reintegration will be a difficult task.